For all of the purported ambition and willingness to innovate to be found within progressive rock and metal, it’s all too rare that a band’s music will prove to overwhelm or surprise me. Perhaps it’s a result of we as listeners having been desensitized to a lot of it; after all, when everything is extreme, ultimately nothing is. Regardless, Equinox’ style of progressive rock/metal has hit me like a freight train, racing across some vast and cosmic terrain. Even entering a crowded genre as it is, Slight Change still manages to knock me over with one of the most over-the-top, bombastic and balls-out sounds in progressive metal. Moderation and subtlety are indeed alien concepts to Equinox’ debut album, and while the unrelenting hyperactivity undoubtedly makes it something of a love-or-hate-it affair, Slight Change has the potential to wow even the most seasoned prog metal veterans. If I described Slight Change as “space metal,” many reading this could certainly come up with their own ideas about what the band and album might sound like. Although details would vary from listener to listener, some elements would be very common to the listeners; among them, a larger-than-life atmosphere, chugging guitars and epic vocals. Equinox doesn’t circumvent any of these preconceptions surrounding operatic space metal; instead, the music draws in common tropes from this niche genre, and amps them up to a ridiculously high standard of energy and bombast. Ultimately, Equinox may often sound like the music could use a breath of fresh air at times, but I also know that the sound wouldn’t have had as much of an initial shock and impact on me had there been a greater degree of restraint. 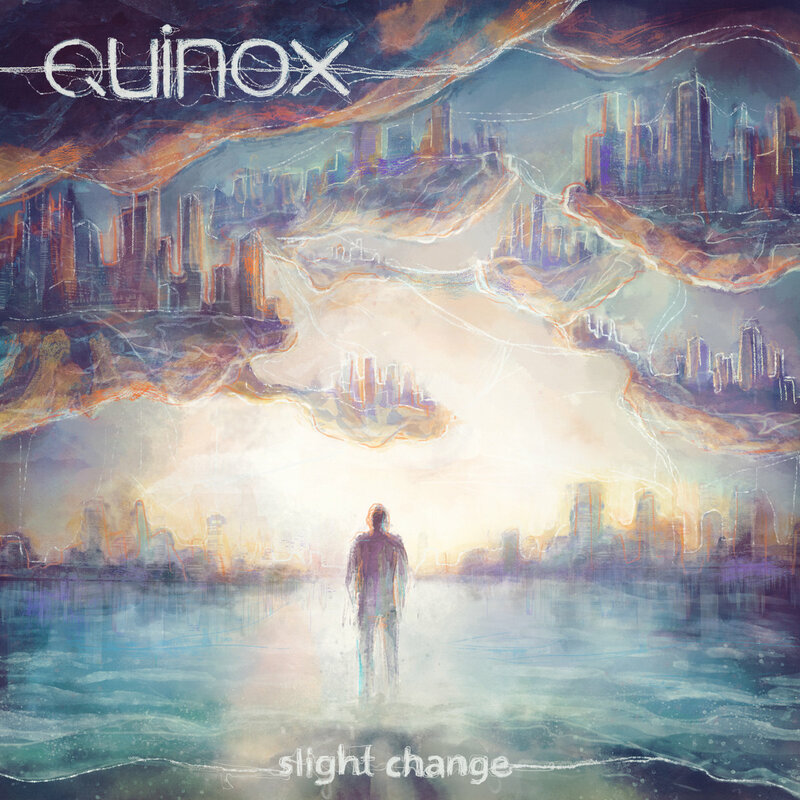 Although the sure highlight of Equinox‘ sound on Slight Chage is their intensely cosmic ambiance and mind-boggling instrumentations, the vocals are worthy of note on their own. While I imagine it would have been a hard time squeezing proper vocals into music this bombastic and instrumentally busy, the vocals here really work. The biggest issue of Slight Change is its production, which is somewhat muddy. The sound of drums in particular sounds a bit tiring, but if creativity is put over this side of the album, Equinox certainly did a good job. Equinox is a band that has me wondering still where Slight Change would sit in terms of quality when compared to other albums and artists. For one, the atmosphere and scope of the music is menacingly impressive. 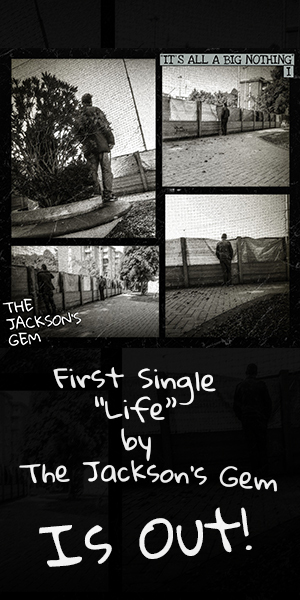 At the same time, I have a difficult time picking out particular highlight tracks from the album, much less distinguish the songs apart. While I know the album could have benefitted from some counterbalance in the way of moderation and knowing when to hold back, the way Equinox have conjured the essence of prog metal and amplified it to galactic excesses deserves to be experienced.